As business owners we’ve all heard that we should under-promise and over deliver. Here are real ways that you can do it and make your clients love you and hire you again. Why Just Offering a Superior Service or Product Isn’t Enough To Succeed. 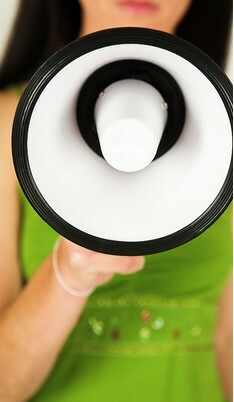 You need creative customer retention strategies to make more money by building a loyal client base for your business. Isn’t it funny that a nice appearance – a simple, professional looking, well designed piece of paper, for instance – can give your clients so much more confidence in you and your services? Clients. You. Me. We’re all the same. We all like when the details are taken care of, and taken care of in a nice way. When you can add to your clients’ user experience, you add even more value to the purchase. What’s it like to be pampered? I don’t just mean in a spa kind of way. There’s all kinds of ways to pamper your clients. For my birthday this year, a girlfriend of mine bought me a necklace. She ordered it online and the company mailed it to me. When I received the package in the mail, it was in an ordinary manila envelope so I thought it was just something I ordered from Amazon. Once I opened that manila envelope a whole luxurious experience spilled out. A beautiful, yellow and grey jewelry box emerged with a matching tiny envelope. I opened the envelope, and a lovely, hand written note thanked me, informed me that I had a very unique piece of jewelry and gave detailed instructions on how to take care of it, lending to the feeling that I had something valuable and special in my possession. 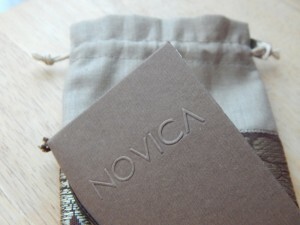 I then opened the box to reveal a gorgeous silk bag with drawstrings laying on a baby, white silk pillow. I then pulled the necklace out of that bag that was intricately strung onto an ingenius little package that kept the necklace from getting tangled. This was for a $50 necklace! It’s not like this was a $1,000 necklace. But the treatment I got when opening that package felt like I had received a $1,000 necklace. That is what it’s like to be pampered. 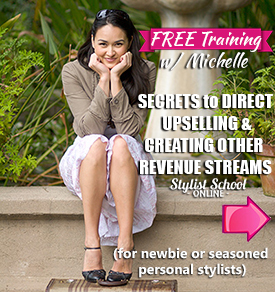 Beware of making this BIG MISTAKE in your styling business or ‘future’ styling business. If you believe your company relies solely on your services, be prepared to struggle. Yep, that’s right. While it’s important to deliver fantastic value with your service offerings, the often-overlooked key to success is not just product (or service) based. The often-overlooked key to success is in the extra touches. It’s in the ability to make your clients feel special. Do you know how to create an experience that gets your clients raving about you? They might rave about you to their friends, at the office, on social media, or even review sites like Yelp or Trip Advisor. Luckily, this is something that is actually easy for entrepreneurs and small business owners, like you and me, to attain. Large corporations have a tougher time doing this. This is about creating an unforgettably great experience for your customers that they become loyal to you for life and recommend your business to their friends and networks. 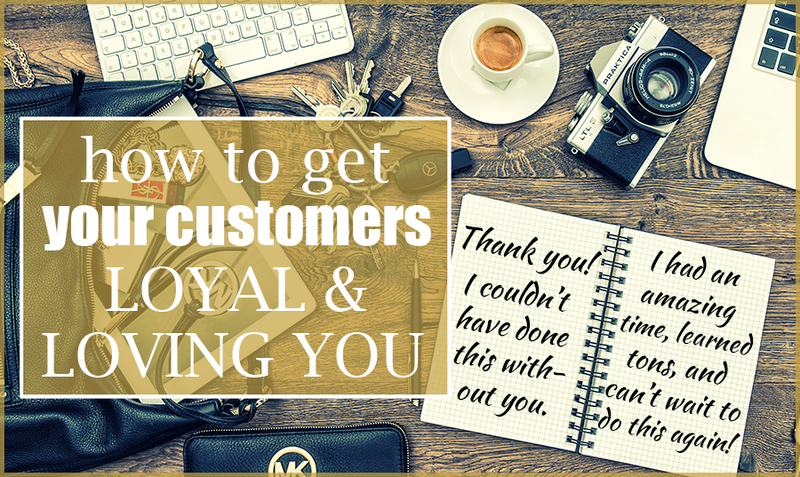 An amazing experience is truly what creates loyal customers and helps you make more money. Developing a specific and unique competitive advantage is crucial for business success. Whether it is fancy wardrobe checklists or opulent jewelry wrappings, crafting a special and unique experience for clients and customers is something that needs to be included when delivering your products and services. Over-delivering should be part of your brand. That’s what brings back repeat customers, gets clients excited to work with you, builds a loyal following, and has your customers raving about you to others. And it doesn’t have to be hard or expensive. It just has to surprise and delight people. This is where some cool creativity can come in. Do you know how to find a competitive advantage? You’ve got to find new ways to take care of your clients. Most stylists I know will deliver their styling services to their clients but don’t really go beyond that. Even if they deliver great service, it would benefit their businesses to go above and beyond that. A couple years ago, when asked how his personal shopping session went, a client of ours said, off-handedly, that it was fantastic and he didn’t feel like stopping once, but he “could’ve done with a chocolate break” for a pick-me-up. 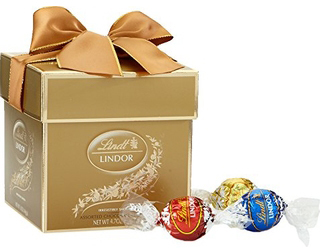 So, I took that as constructive feedback and now have myself, and my styling team, carry Lindt Chocolate Truffles during styling sessions and offer them to clients who work with us. It’s not something huge, but it’s a lovely and unexpected gesture when a client is starting to feel tired, even when they are having a great time. It makes them feel even more special and taken care of. 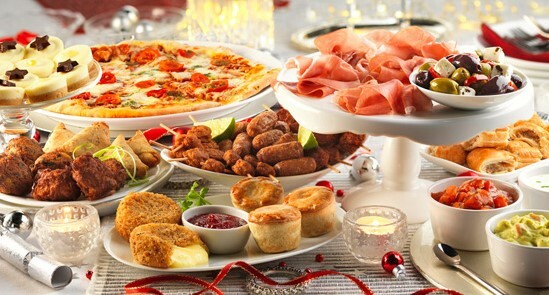 And whether your client takes it or not (some people are just admirably disciplined with their food) the offer of something delicious, that feels like a treat, sticks with them. It’s memorable. Another stylist I know, when she holds personal styling sessions at her styling boutique, offers clients an array of food and drink that they have previously told her they like. She adds the question to her style questionnaire asking what their favorite foods are, this way she knows exactly what to buy. You can be sure that clients feel like royalty with that kind of treatment and are excited to come back to her for more pampering. This personal stylist caters to high end clients and she makes sure to over-deliver on her services to keep them satisfied. If you are currently working as a stylist, creative, entrepreneur, or you’re planning on building your business in the future, you’ll want to consider what kinds of things you can do to make your clients’ experiences memorable that go beyond just your services and products. Customers nowadays expect the best of the best when they purchase something and in the customer service they receive. So how do you not only provide fantastic value in the product/service you provide but even more on top of that? 1. Step into your client’s shoes. Map out your customer experience process: When do they first interact with your business? When do they stop? What’s happening during every step in between? What could you add to the process that would deepen your client’s relationship with your brand? Imagine your brand is in a dating relationship with your client. What could you do, beyond just showing up for dates, that would make the person super excited about going out with you? Think this way for your business. What could you offer beyond your services that would make your customer feel super excited when they think about you. 2. Plug in the painful or boring holes in your customer’s journey with loveliness. Many stylists and creatives focus primarily on the creation and delivery of their products or services, because it’s usually more fun and that’s your “passion” part.But you’ve got to think ‘end to end’. Typically, the “non-passion” parts require the most attention and work and are often the determining factor of a great customer experience. What’s your payment or billing experience like for the customer? What happens immediately after you finish the job itself? Do you have welcome emails in place for new subscribers to your email list? Make small adjustments to improve the commonly dreaded payment process or schedule follow-up calls after you complete the service. Your clients will appreciate the added attention and consider you a trusted partner rather than a one-time purchase. Make people feel special. Show them extra attention. This will result in a positive experience, positive word of mouth, and positive reputation. Instead of focusing on just selling your services, offer expert advice on what’s best for your customers’ needs — even it it’s outside of your product offerings.For example, people reach out to me frequently and ask for advice on where to go for hair, or makeup, or a dating coach, or a great tailor, or even plastic surgery. Instead of saying, “we don’t do that” and send them on their way, I always give them my best advice. This type of professional guidance will build trust with your customer and contribute to a positive experience and long-lasting relationship. If your service is not what they’re looking for, offer alternative options. This may result in a lost sale initially, but customers will remember your support and come back for repeat purchases in the future or recommend you to others who want your services. The coffee shop barista who doesn’t ever need to be told how we like our cup of joe? Or the diner where the cook starts to make the same dish you always order the minute he sees you walk in the door? Or the salesperson who sends gifts in pink because she remembers that’s your favorite color? Or the restaurant owner who always remembers your name when you walk in and asks you how that business meeting went? These experiences add value and they instill an enormous amount of loyalty. 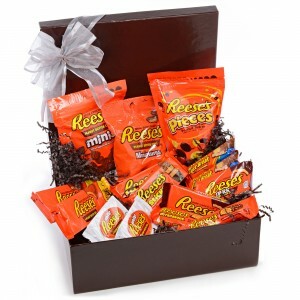 I had a client who had mentioned in our initial phone conversation that he and his son loved to share Reese’s Pieces together out on their boat on the weekends. So, a few days later, when we had finished our closet consultation and personal shopping spree, I went out to my car and handed him a little gift bag that had a huge bag of Reese’s Pieces in them. He was floored! I think he thought that was the best part of the entire styling service. That special touch took me an extra 20 minutes on the way to his house, a $1.99 gift bag and a $3.99 bag of candy. That’s it. And the man was singing my praises for days! And he wrote an awesome customer review. AND, most importantly, he has hired me another 3 times and plans to hire me every time he needs some essential shopping done. Spending 20 minutes and five bucks earned me thousands of dollars with this client hiring me repeatedly! Is there anything you can do to ensure your customers know that you not only pay attention to their preferences, but remember them and cater to them for each and every transaction? You don’t have to cure cancer or even solve a big problem. My wardrobe checklists solve a wardrobe organizational problem that most of my clients don’t even realize they have. The Checklists took 2 days for me to make. I’ve used them now for over 2 years and with tens of hundreds of clients and will continue to use them. They were well worth the time to create. Can my clients live without the Capsule Wardrobe Checklists? Of course. But it just makes organizing their closets and shopping for the right pieces so much easier. And nicer. And the lists are valuable because they help clients save time. It enhances their experience. To figure out what you can over-deliver on, brainstorm the annoyances that your clients go through in their closets, or while shopping, or something else that’s related to your expertise. Then use your creativity to develop something special for them. Something they won’t expect but will appreciate when presented with it. A simple handwritten thank you note could do the trick. As a business owner, it’s critical to take advantage of any opportunity to get ahead in the industry. Though you may not have control over your competitors’ services or product advancements, you do have total control over your customers’ experiences and ultimately, their loyalty. 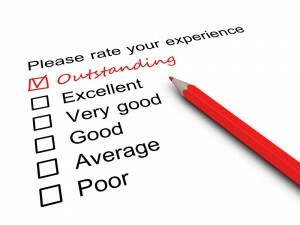 Take the time to provide an unforgettably good customer experience and it will pay off. Whether you already have your styling business up and running or you’re still contemplating it, taking one small step every day will get you up that mountain towards success. Your steps don’t have to be huge, they just have to be in the right direction. I invite you to share with me in the comments below, three ideas that you think can help your business over-deliver and create a memorable experience for your future clients. Don’t worry about other stylists stealing your ideas. Living in an abundance mentality means that you will always have more ideas as you open your mind to it. And you’ll probably also get some inspiration reading others’ ideas. Plus, most people won’t even take the time, effort, or energy to actually turn an idea into reality. And most likely, they won’t even be in your city or market. So don’t you worry about it. You can even email me your ideas if you want to keep them private. Either way, I’ll let you know if you’re thinking big enough! I developed my Premier Personal Shopping Strategy as my own way of ensuring that I’m creating seamless and memorable experiences for my clients. It’s the process I use to ensure my clients’ happiness and joy as they go through my personal shopping services. Thank you for taking the time to share valuable information about your business and personal experiences. I am in the process of starting my image consultant business and I am a little nervous about getting started. I am not sure if I could come up with 3 new creative ideas at this point, but I do like adding personal touches like a handwritten note to say thank you, a gift that is revelant to that customer, and maybe a bottle of wine. You have definitely given me a lot to think about. I look forward to reading more of your emails. Again, thank you. Danyel, you are so welcome! That is awesome that you’re starting your image consulting business. You’re right to be nervous, it wouldn’t be normal if you weren’t. But know that there are methods and models that can help you become successful. This is a proven business in many cities and there are lots of resources and tools to help with your success. There are many different ideas in this industry that could work, so keep thinking, be creative, and don’t be afraid to try new things!